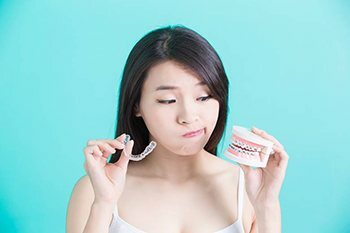 Most people picture traditional metal braces when they think of orthodontic treatment – but that’s no longer the only option for patients who want to achieve a straighter smile. At Dental Center of Jacksonville, Dr. Jignesh Patel is proud to offer services that create dazzling improvements for your teeth while keeping your natural, confident appearance front and center, resulting in a truly exceptional treatment experience from beginning to end. Contact our Jacksonville, FL office today if you’d like to schedule an initial consultation visit, or if you have any questions or concerns for our team about orthodontic treatment options. In the past, orthodontic treatment meant using brackets and wires affixed to teeth to shift the smile into position. Brackets were cemented into place onto the front surfaces of teeth. Then, a series of wires connected the brackets and were adjusted to place pressure on individual teeth, shifting them into their ideal position. The process could take 12 to 24 months or longer for more advanced cases. Additionally, the metal brackets and wires noticeably marred the appearance, irritated soft tissue, and could cause significant inflammation for those with sensitivities to metal. Plus, regular orthodontic appointments were necessary to make the minute adjustments needed to shift teeth into alignment. For these and many other reasons, traditional braces aren’t ideal for every patient. At the Dental Center of Jacksonville, we offer two alternatives – Invisalign and Six Month Smiles. With Invisalign, it’s simpler than ever for patients to correct frustrating gaps and misaligned teeth! This treatment option does away entirely with the traditional bracket-and-wire model – instead, our doctors will take impressions of your smile for the Invisalign laboratory, allowing them to create a completely customized set of clear, plastic aligners. Each aligner is designed to represent a different stage of your smile’s improvements, which makes the patient’s job simple – all they need to do is wear each aligner for the prescribed amount of time (typically a few weeks) before switching to the next one in their set. Invisalign aligners are very subtle when worn and easily removable, which means patients can enjoy the same level of self-confidence while still eating all their favorite foods and brushing and flossing like normal at home. 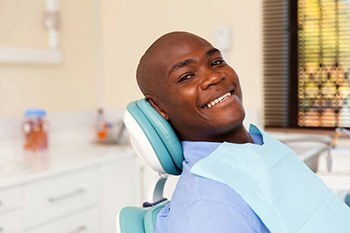 The treatment process is typically faster than traditional orthodontic care as well. Our doctors love recommending Invisalign to teenagers and adults who want to show off happier, straighter smiles! Are you frustrated by the look of certain teeth when you show off your smile? Do you have a big event coming up (like a wedding or graduation) that you’d love to look your very best for? Six Month Smiles could be the perfect orthodontic system for you. 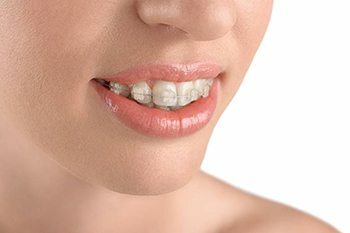 Instead of noticeable metal additions, your new braces will rely on clear brackets and tooth-colored wires, allowing the treatment to blend right in with your natural appearance. By using low-movement forces to correct minor visual imperfections instead of complex bite problems, Six Month Smiles treatment is able to be both comfortable and very fast. Just like the name implies, most cases are complete in just six months. The cost of Invisalign and Six Month Smiles orthodontic plans varies from case to case, but most patients pay about the same amount as they would for traditional metal braces. 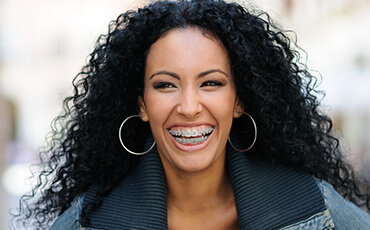 On average, metal braces range in price from $3,000 to $6,000 depending on the complexity of the treatment plan. 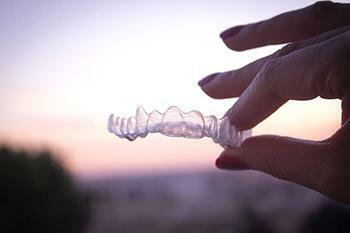 Invisalign plans range from $3,000 to $8,000, and the average Six Month Smiles plan costs between $3,000 and $5,000. Best of all, most dental insurance providers now offer the same amount of coverage for any type of orthodontic treatment further reducing your out of pocket expenses for a straight, healthy smile.